The freezer section at your local grocery store may have plenty of popsicle flavors, but they're mostly going to be the same old fruit-flavored varities you've been shoving in your mouths for years. None of those will truly get your tastebuds rolling like some creative homemade versions will. We've already shown you some crazy sounding ones made with Oreos, veggies, and coconut flakes, but now we're back with some more chilling ideas. Just wait until you get down to the corn one! Don't Miss: Hot Damn! 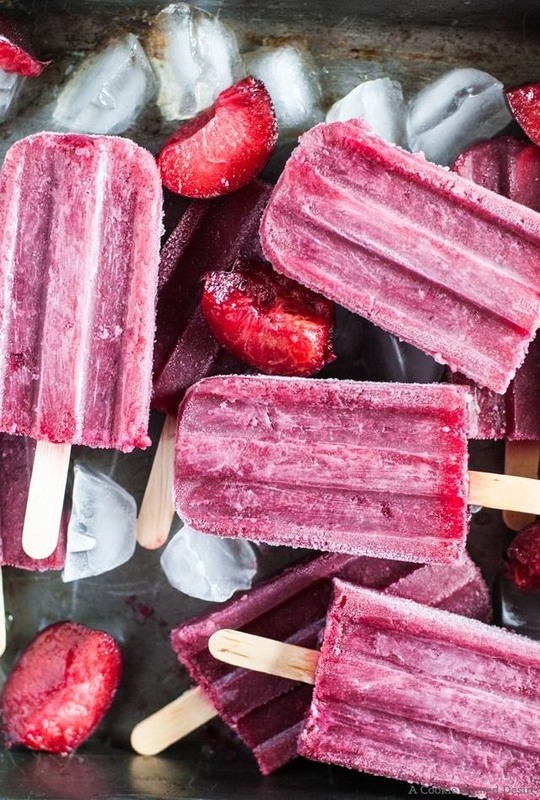 These Homemade Popsicles Look Epic! Oh, the joys of a boozy summer popsicle to wash away memories of a long-ago blustery winter's day! 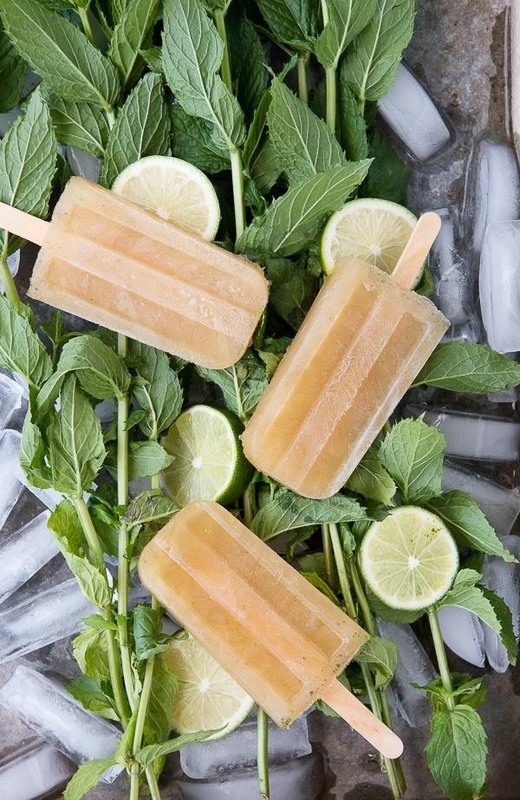 Toni Dash of Boulder Locavore surpasses our wildest mojito dreams by adding guava and lime juice to her pops. We're digging the light and dark rum combo, too. 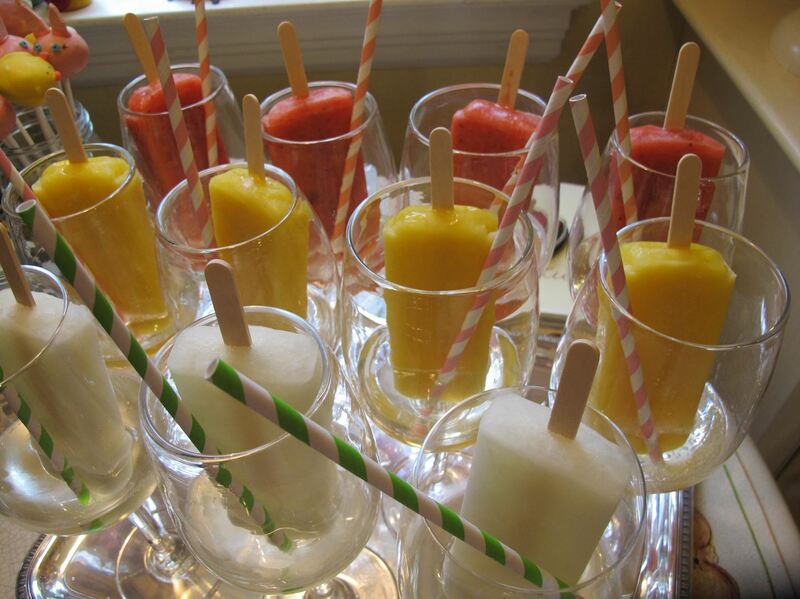 Didn't someone once say, "The warmest summer I ever spent was a summer without popsicles in my Prosecco?" No? Well, we're saying it now. Stick your frozen pops in some bubbles for a zesty afternoon delight and relish when their syrupy sweetness and fizz dance joyfully on your tastebuds. And, if you'd like, try different colored popsicles for a spin on cocktail name tags. You get the red, she gets the orange, I'll take the white ones. Image by Lindsay Belfatto/Served by the LB. 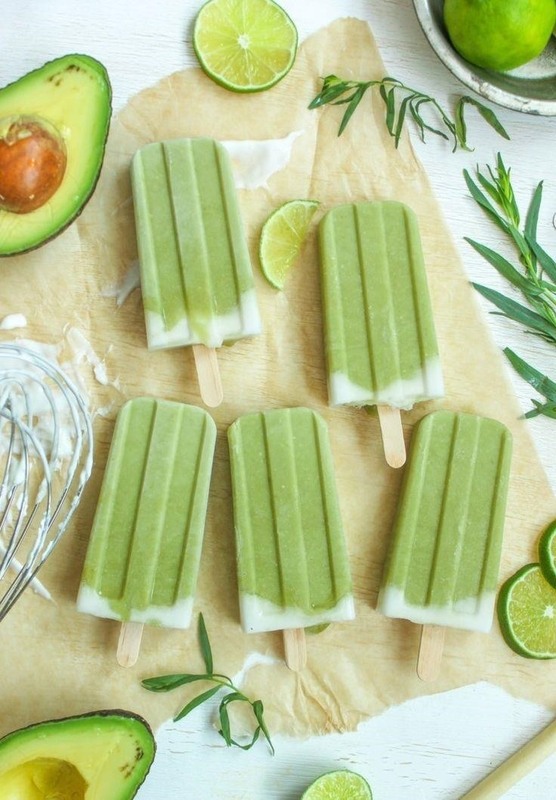 Yup, we're going there: avocado popsicles. They're creamy and dreamy and glorious. Jerry Stone of Cooking Stoned (great name, Jerry) does fruit delights right with his tropical avocado popsicles, complete with tarragon and coconut milk. To achieve tropical nirvana, just add a hammock. These plum and wine popsicles from Amanda of A Cookie Named Desire are brilliant in taste, appearance, and concept. In combination, the flavors of plum and wine work fantastically to balance one another out, aiding in the creation of a popsicle that is not too sweet nor too tart. Pair with a side of Pinot, please. 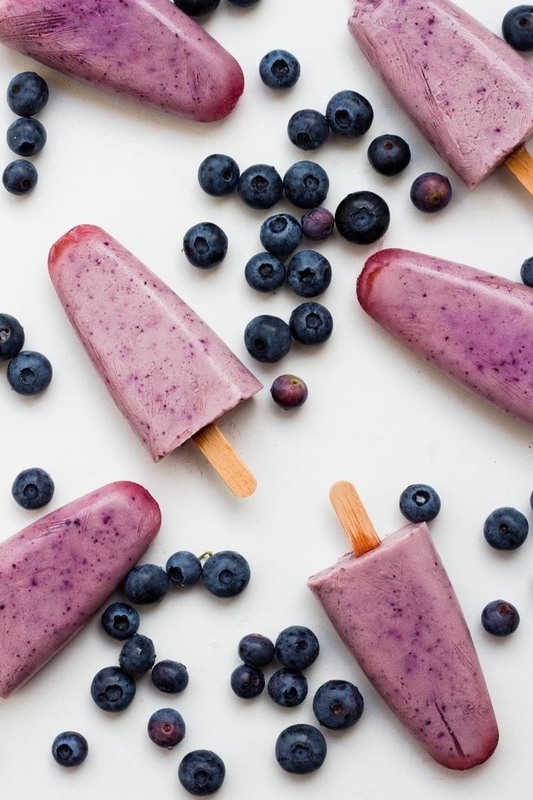 If you're looking for more of a morning popsicle (hey, if you want popsicles for breakfast, who are we to judge), check out these epic blueberry honey yogurt popsicles from Not Your Standard. Frozen blueberries, plain Greek yogurt, honey, and a vanilla bean combine forces to create a warm-weather-worthy morning snack. Make it a meal by serving it alongside some granola and an iced coffee. Do you like piña coladas? Like being not in the rain? 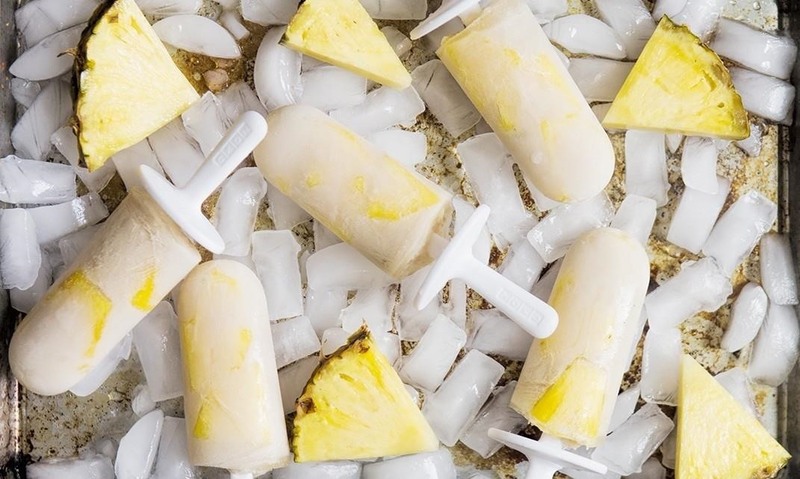 If you like eating grub at midnight, then these pretty piña pops are the ones for you. A Taste of Koko makes them with just two ingredients, pineapple chunks and coconut almond milk. 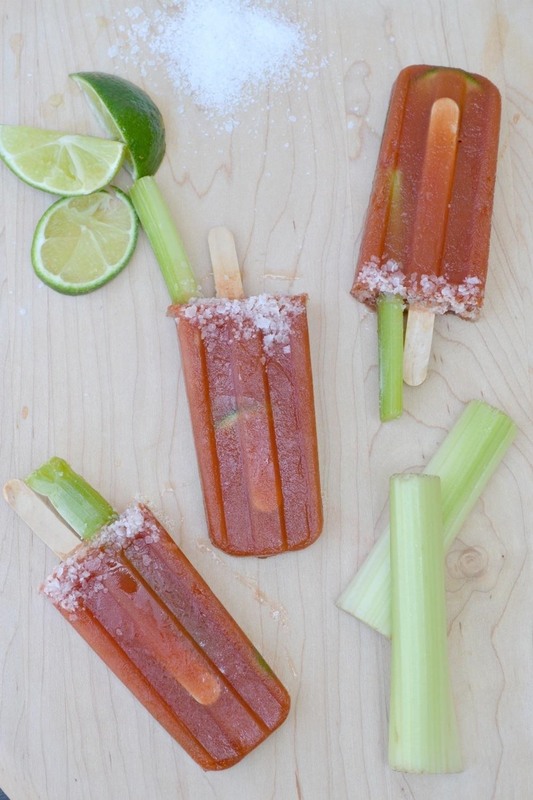 If it's the ol' hair of the (summer) dog you're after, Fork and Beans has you covered with their Bloody Mary pops. They use ginger-infused vodka in addition to fresh ginger, lime slices, and margarita salt. Heck, shove a celery stick in there while you're at it for the full effect. Say what?! That's right. Corn doesn't only make its way onto the summer staples list by way of a BBQ. 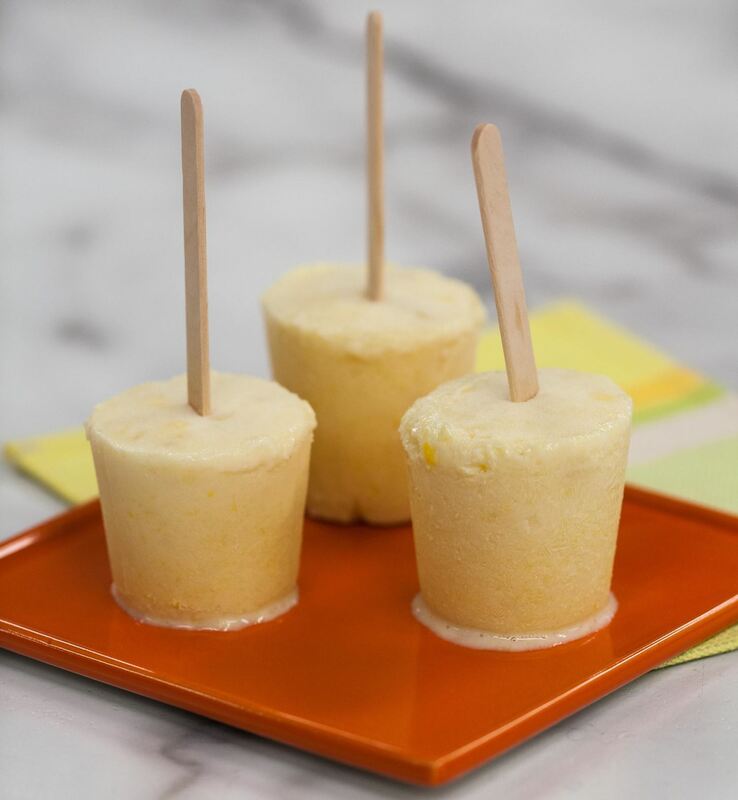 It also comes to us in the form of a sweet corn ice pop thanks to Food Network's Katie Lee. The sweet Southern chef combines fresh corn, Greek yogurt, vanilla extract, agave nectar, and a pinch of sea salt to construct this creative creation. 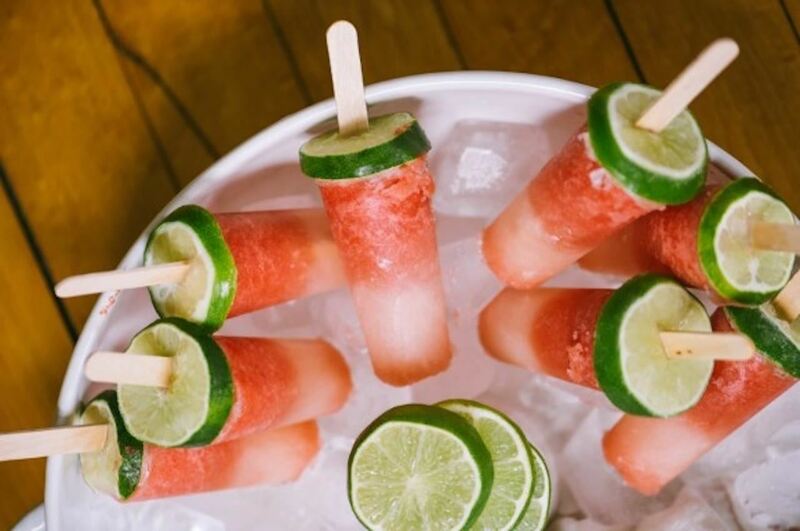 All you need to do to create these perfectly pink pops is combine puréed watermelon with lime juice, sugar, and tequila in a popsicle mold. Place a lime slice on top and you're in business, buds. Check out Emma Magazine for the full details. 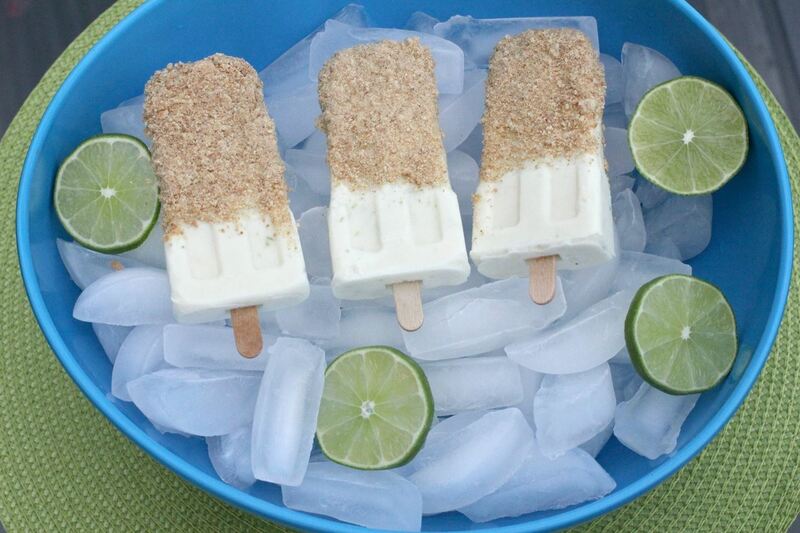 Should you want to take a virtual trip to the Florida Keys via a popsicle, we recommend this clever idea for key lime pie popsicles from Lindsay Ballen of Normal Cooking. Lindsay uses half-and-half, lime zest, lime juice, and graham crackers to get her pie on in popsicle form. Just kick back in your lounger, chomp down on one of these bad boys, and work on your tan. So, perhaps adding these 10 divinely delicious treats to your poolside repertoire will make this the Summer of the Popsicle, aka the best summer ever. Have any homemade popsicle revelations we didn't cover? Share them with us (pretty please with a popsicle on top) in the comments below.